The jury acknowledges the importance this exceptional packaging provides to the food and beverage industry. 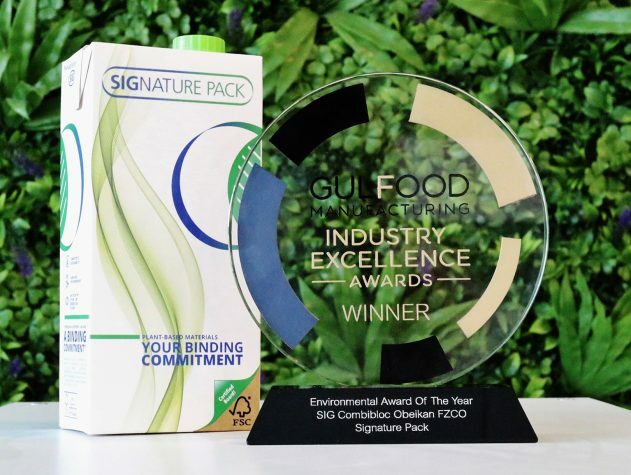 SIGNATURE PACK from SIG has won another important industry award: the Gulfood Manufacturing Industry Excellence Awards, which has now been announced at the Gulfood Manufacturing in Dubai. 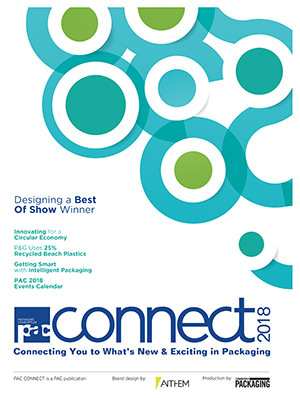 SIGNATURE PACK, the world’s first aseptic carton pack with a clear link to 100% plant-based renewable materials, was honored with the ‘Environmental Award of the Year.’ With this award the jury acknowledges the importance this exceptional packaging provides to the food and beverage industry. The Gulfood Manufacturing Industry Excellence Awards rewards best practices and innovations within the value chain of the food manufacturing industry. The expert jury members are international representatives of the food processing and packaging industries, graphics experts, equipment suppliers, scientists, the trade press, the government, as well as environmental and trade organizations. 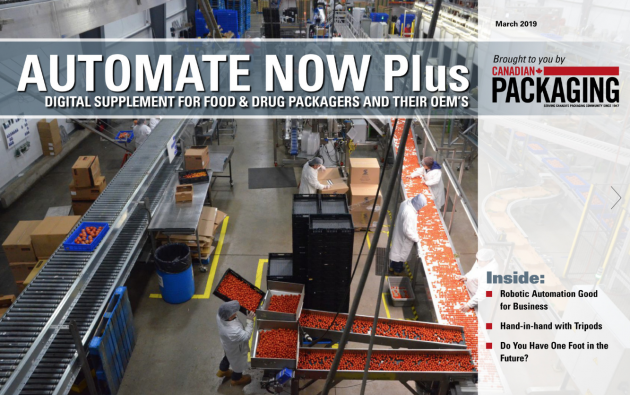 SIGNATURE PACK is a value-added solution that meets the demands of the industry and today’s consumer expectations for more environmentally-responsible products. 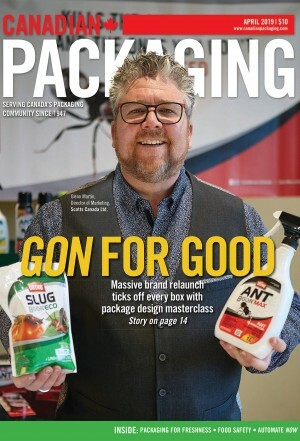 It is one of the latest innovations from SIG as the company strives to offer customers the most sustainable food packaging solutions as part of its mission to go Way Beyond Good. The polymers used for laminating the paperboard and for making the closure of the SIGNATURE PACK are 100% linked to plant-based materials via a mass balance system, whereby plant-based raw materials are mixed in with conventional fossil raw materials to produce the polymers. 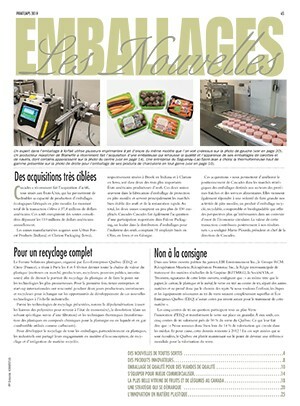 This means that for the polymers used in the SIGNATURE PACK, an equivalent amount of bio-based feedstock went into the manufacturing of the polymers. The amount of plant-based material is certified by recognized and audited certification schemes to ensure strict traceability and accountability. Sustainability and responsibility are becoming increasingly important in the MEA region. SIGNATURE PACK provides a consistent answer to reducing the use of fossil raw materials, as well as reducing the carbon footprint. 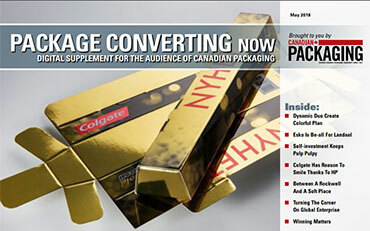 While most companies are still in the concept phase with their ideas, SIGNATURE PACK is a solution ready for the market. Min-Kin Mak, Deputy Vice President Corporate Development and Digital Transformation at SIG, and Ghassan Elassi, Chief Human Resource Officer at SIG Combibloc Obeikan (JV between SIG & Obeikan Investment Group), received the award on behalf of SIG at the Gulfood Manufacturing. “Sustainable and renewable packaging highlights our company’s commitment to contribute more to society and the environment than we take out. We are very proud that our SIGNATURE PACK is recognized once again to be an exceptionally eco-friendly packaging. It drives the replacement of conventional plastics from fossil fuels to certified and sustainable plant-based sources. This is the 3rd environmentally-based award for SIGNATURE PACK and proves that our packaging adds value to the industry and our society – at an international level,” said Min-Kin Mak.